How to build a Competitive In Store Grocery app? The internet has revolutionized almost all the industry and as technology has continued to advance to make online connectivity even more widespread where the mobile technology is playing a significant role in the revolution. 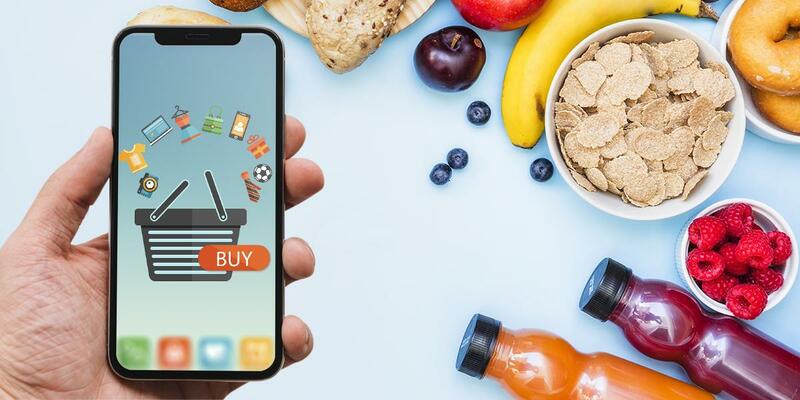 Food retailers aren't an exception when it comes to adopting mobile application development services to modernize their industry. So for retaining current customers and win over new ones, grocery store chain are implementing solutions which are offering unique mobile experiences for end-users in order to provide convenience, grow brand awareness, and build customer loyalty. So, the overall rise in mobile shopping in recent year, it is evident in PricewaterhouseCoopers the complete retail survey for 2017, so there are many other reasons why grocery chains should incorporate mobile solutions for their businesses. Customers have their own preference which they like to save in apps or on websites. This preference could be saying username or password, by viewing certain brands or shopping at a specific location and so on. So the more personalization you can provide your customers the more they will use your app. It almost like a digital version of greeting a customer by name when he or she walks into your store. If you are building a grocery app, you need to provide the same feeling that the end users are physically shopping at your store. So the given feature can be accomplished by presenting items with a 3D image of the products, where adding products to a virtual cart and searching products by name category, etc. To create an excellent inventory experience for your app, you need to make it easy for a shopper to find the stock item which they want. So the way to accomplish this is by optimizing your app’s browsing structure and search. Consider using photos or icons to make it easier for shoppers to identify the stock item at a glance. So these type of assets also makes products more visually appealing because, for search and speed, responsiveness is the key. So for utilizing in a smart search to limit the amount of typing your shopper to have the input before finding the products they are searching for along with that be sure to make it easy to tell if an item is in stock or not at the shopper's local store. The app users use their shopping lists for different scenarios so the app should be able to plan to cater to all types of scenario. One feature which misses out on by most grocery store apps is the feature which let your shopper to save their shopping list or put together a list of items that the shoppers buy frequently. So, incorporating this feature will help the end user to create their shopping lists quickly if they tend to buy the same thing frequently. You can add a specific feature in your app for navigation and bar-code scanning in the store which will also help to add a certain convenience to the in-store experience and even add value to certain desirable features. So the feature which works best here to help the shopper with correct aisle location by offering a map view to your shopper along with a highly detailed information-rich profile of the local store. We all have experienced the misfortune of having to spend a long time waiting in checkout lines at the store. So there comes a self-checkout in mobile app development wallets which revolutionized the process by speeding up the checkout process in a big way. Therefore some food retailers are still thinking about the idea of integrating the scan as you go feature which would let the shopper to avoid the standing in line part altogether. New customers sometimes forget about the grocery app which they download. So the right way to remind them is by push notification so send them a notification about the new product which you just put on the shelf or the sale which is happening right now or reward them when they purchase a product from your app. This type of app allows the user to make and save lists of grocery items. So, other features can be the ability to share the lists with others, or set reminders on default items such as buying milk on an everyday basis and updating lists in real time so that the others can view them online will also see the changes. This type of application is growing in each passing day. So the small local businesses are now offering customers their time along with the wheels to shop and deliver their groceries. This options not only helping the working class but also the elders who are not able to get out and purchase their own. So, in order to select your products online, you can pay for your groceries and have them delivered right to your home. This app will enable you to know on what specific items you can get cash back. So for getting a rebate, you need to select items on your shopping list which offer a discount or refund. Once you complete your shopping take a picture of your bill or receipt. Then the app will analyze your purchase and deposit any money earned with rebates in your app account. This mobile application development compares the prices of a product at other stores in your area along with that it also provides up to date sales and promotional coupons for your favorite’s stores and notifies you about the sales based upon your previous purchase. So for wrapping up when you personalize the grocery store app, it is not only you are adding convenience for your users but also helping yourself by establishing a strong loyalty among the customers, even encouraging them to make more frequent shopping trips and returning with shopping carts.